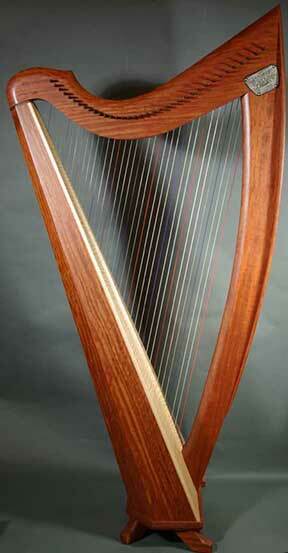 Triplett Harps are fine instruments, built in California since 1980. They offer a wide range of sizes, from a “travel” harp size to 38 strings, and make harps in cherry, walnut, maple, mahogany, and occasionally other woods. The most popular model in our shop has been the Signature, a 36 string instrument known for power and clarity (especially in the bubinga version), and no compromise in structural quality.